Tiny Tadoussac, a Quebecois village of fewer than 900 inhabitants on the St. Lawrence River, is renowned as a whale watching destination. 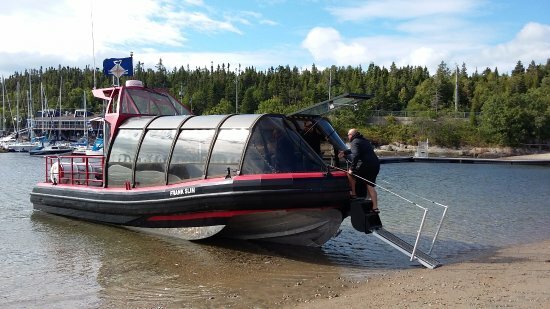 Tours are readily available to see the vast creatures feast on krill in the St. Lawrence and to explore the stunning Saguenay fjord, but you can often spot whales from the shore. The oldest surviving French settlement in the Americas, Tadoussac has a slew of national parks within easy reach. There is a frequent free ferry service across the Saguenay River.